I pray that everyone had a GREAT thanksgiving! My DH and DD spent the holiday in Hilton Head with my IL's in tow...what a blast. We rented a space, prepped the meal as much as we could before hand and had a VERY relaxing time. And to make it even better, the weather was fabulous! 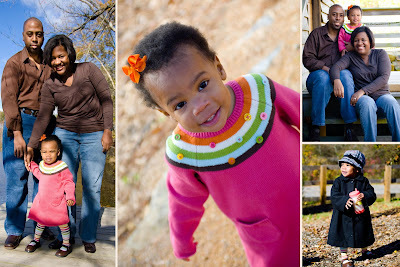 While there, I created a photo collage from our photo shoot some three weeks ago! After having it printed today at Target, I am so please with how they turned out. It was my first run with Corel Paint and I must say that I am quite impressed! Below is the photo collage; I will post photos of the completed card later this week. I have also been VERY business at my full time job and Etsy has kept me plenty busy as well. I have been fulfilling spring wedding orders...FUN...FUN...FUN! So cute! I can't wait to get mine in the mail!